A unique synergistic wellness experience in the Riverdale/Danforth area of Toronto! In these workshops you will learn about natural treatments and preventative therapies to common ailments and then bring your body into the fold with a custom yoga class focused on the subject. 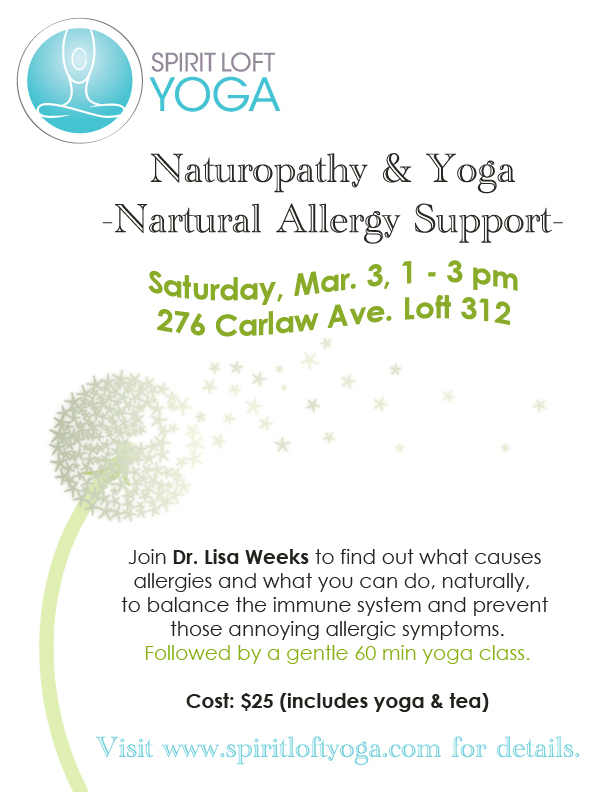 Join Dr. Lisa Weeks and the Spirit Loft Yoga teachers. Find out what causes allergies and what you can do, naturally, to balance the immune system and prevent allergic symptoms. Workshop followed by a gentle 60 minute yoga class.